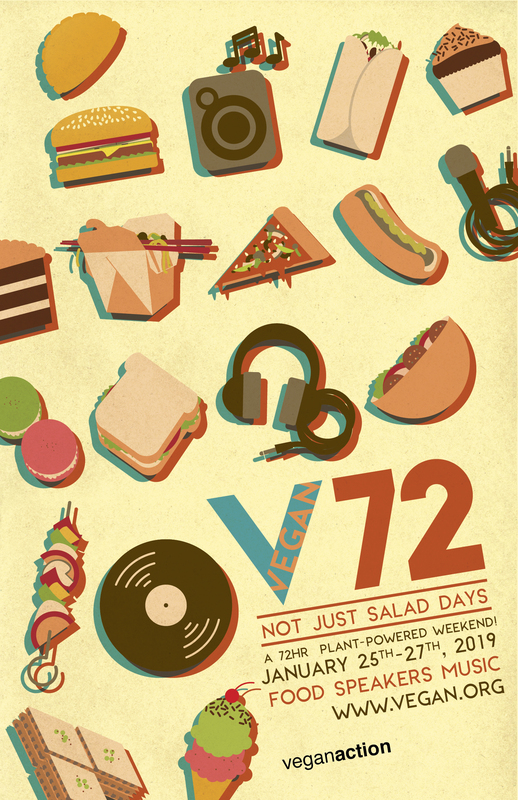 Poster for a 72 hour vegan food event hosted by Vegan Action. Guess who we already have booked! !